outside his church near Kampala. 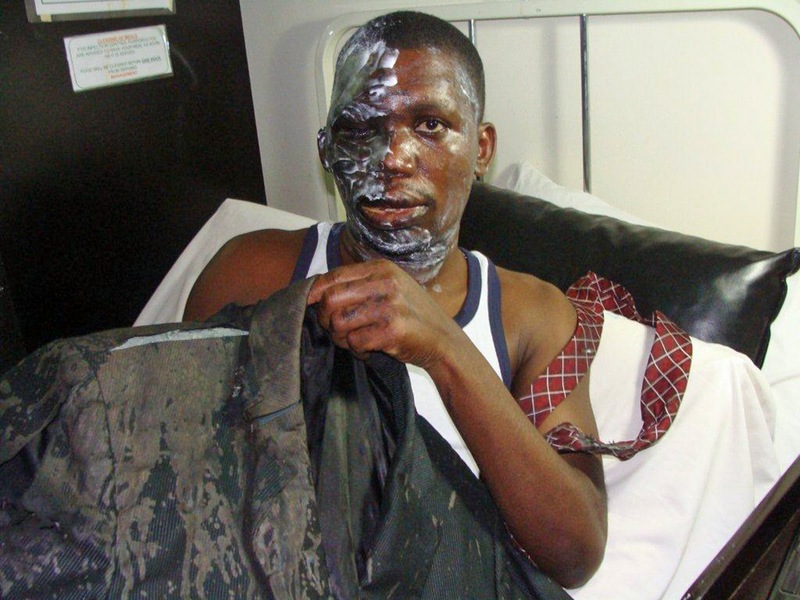 Islamic extremists threw acid on a church leader on Christmas Eve, leaving him with severe burns that have blinded one eye and threaten his sight in the other, reports Compass Direct News. Bishop Umar Mulinde, 37, who was previously a sheikh (Islamic teacher), was attacked when a man who claimed to be a Christian approached him. "I heard him say in a loud voice, 'Pastor, pastor,' and as I made a turn and looked at him, he poured the liquid onto my face as others poured more liquid on my back and then fled away shouting, 'Allahu akbar,'" Mulinde said. At last report, his face, neck and arms bore deep black scars from the acid and his lips were swollen. The wounds are so severe that he may need plastic surgery. Police have reportedly arrested one suspect. Mulinde is married and has six children. He has faced several injuries and attacks from Muslims since his conversion to Christianity in 1993. Pray the Lord will heal Mulinde's physical and emotional wounds. Pray that he will receive all the treatment he needs. Pray he will remain steadfast in the faith (1 Peter 5:8-10). Pray that the perpetrators will repent and turn to Christ. Pray for those in authority who are dealing with this case. 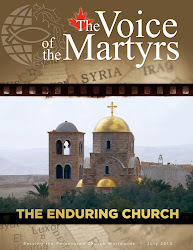 Everywhere The Voice of the Martyrs ministers, the first request of persecuted Christians is often: "Pray for us." You can help answer that request by joining VOM in praying for our persecuted brothers and sisters around the world. Sign up today to receive specific, up-to-date prayer requests by email every Thursday through the Persecution and Prayer Alert.